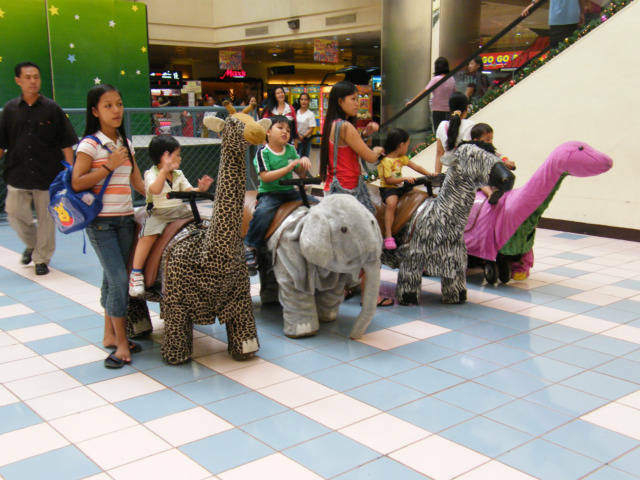 Video of children in the Philippines taking rides on Elephants and other large animals in the Mall. This video was made in the Tesco Ever Mall in Quezon, City and I am jealous. I never had a big wheel and I never had an Elephant. Philippines people like to play. I am jealous, I want an Elephant Ride. Sometimes cover with Chaos, hidden under layers or who knows what, you will find some fun, I wish life was this simple, or maybe life is simpler than we think.